Changing the way we choose for our homes. Enervee delivers the world's most advanced suite of applications and services to energy providers, engaging residential customers in intuitive energy-smart purchase decisions throughout their homes. 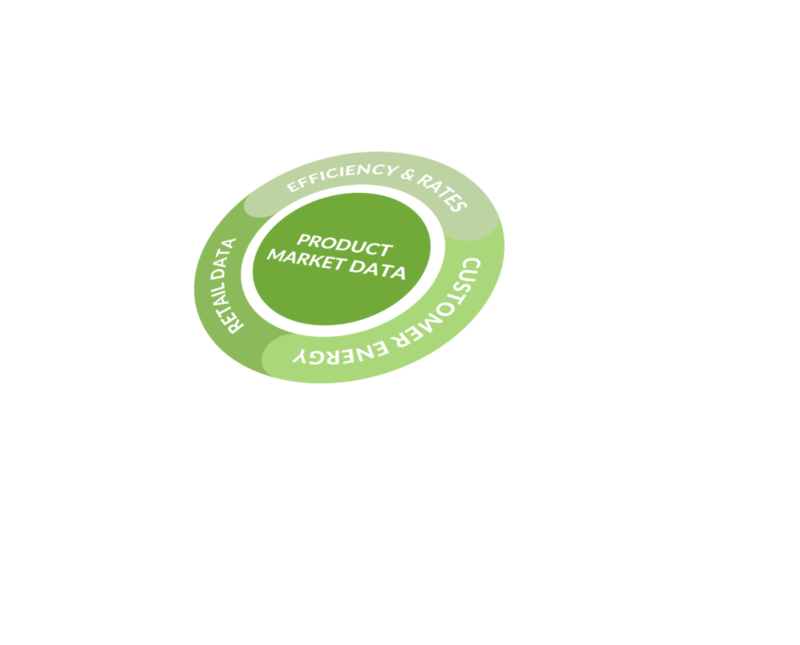 Enervee is the global leader in using data to deliver simpler and better choices at scale. 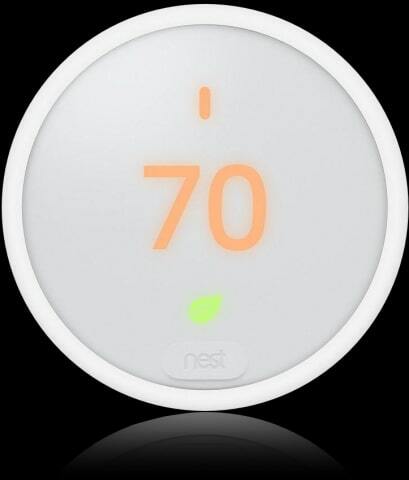 The Enervee Score® ranks every product in every category on its energy performance. Updated daily, proven to drive unmatched buying behavior change and influencing millions of purchases a year, the Enervee Score® is transforming the consumer market for efficiency and clean energy. The key to becoming more energy efficient is helping people understand how making the initial investment benefits them. Plug loads are a key area where we lack solutions. A marketplace, like Enervee, can provide data on what influences consumer’s shopping choices. Delivering the IDEAL customer to energy providers. Behavioral analysis, profile creation and digital marketing means energy providers can identify their customers - wherever they are. A more digitally-engaged customer opens-up opportunities to extend the customer relationship in terms of new services. Unique data and behavioral science ensures energy becomes central to every consumer decision. Knowing customers better and having energy central to purchase decisions creates more value for the customer and the energy provider. Enervee creates a unique decision environment for customers - simpler and better. The energy provider becomes the trusted energy provider, and lowers costs to serve. 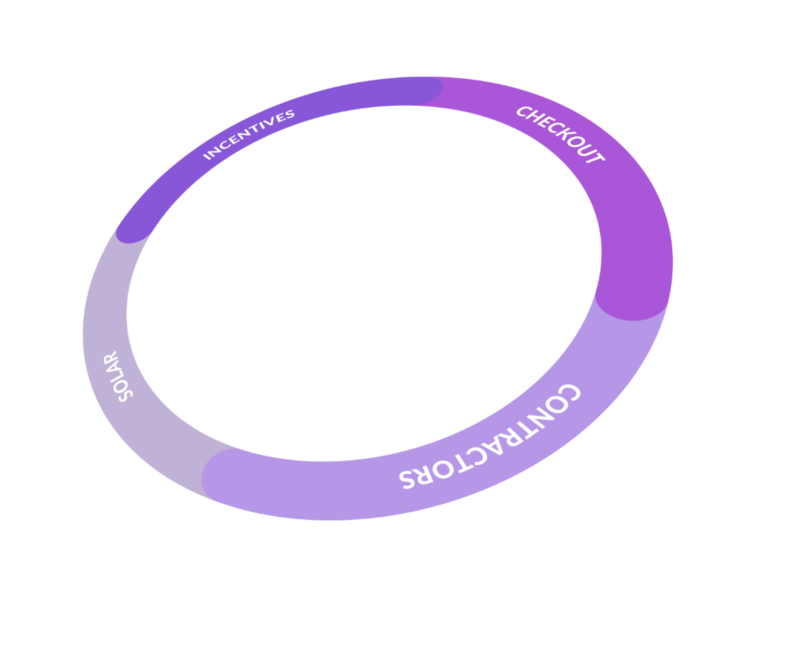 The Enervee IDEAL Customer Platform combines product, energy and consumer data and analytics to deliver a suite of choice engines, applications and engagement services. The energy provider can then combine elements to create their IDEAL Marketplace - a marketplace configured specifically to deliver IDEAL customers at scale. 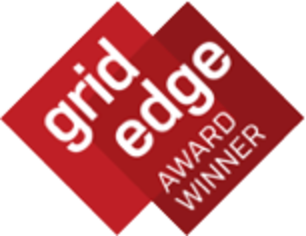 Powering the IDEAL platform – product, price, reviews, efficiency and customer energy data, updated daily. Combining product, energy and personal data across appliances, lighting, cars and smart products, delivering the better choice experience. Enhancements to the choice experience, including solar, incentives, direct fulfillment and contractor. Add-on services to deliver better choices at scale. Enervee Choice Engines unlock energy savings and boost engagement at scale. Running custom algorithms that uniquely combine product, energy and personal user data, each choice engine curates and presents the information your customers need to simply and intuitively choose better for their home. Enables car shoppers to easily explore the benefits of buying electric. With the same intuitive design as Enervee Appliances, Enervee Cars provides the utility customer with the opportunity to compare all cars currently for sale in the market, based on sales prices combined with customizable running cost projections. Thousands of products across all leading categories. All evaluated and updated daily for features, prices and energy efficiency. Delivering better consumer choices. A complex and product-heavy category. Clear and substantive energy savings along with direct fulfillment and incentives. Delivering better consumer choices. 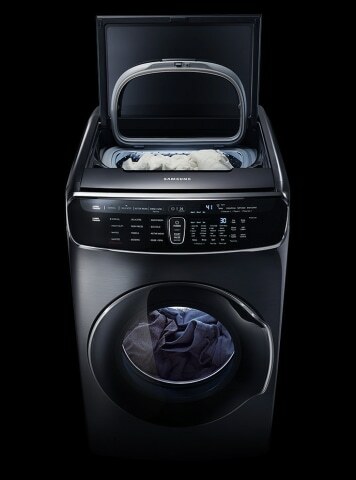 Thousands of smart products and appliances across categories. With DR opt-in incentives. Delivering better consumer choices. Deeper savings, stronger engagement, more sustainable business opportunities. Enables the IDEAL Customer Platform to be the central clearing partner between utility and retailer, instantly validating the customer’s eligibility based on the utility’s program requirements, and applying the incentive for a simple and intuitive experience. Selling directly to customers can make sense when consumers want to make a quick decision or the utility wants to supply the product. For these situations, there's Enervee Checkout - an integrated direct-sales application. Allows shoppers to immediately see the energy benefits of switching to solar with their new appliances, Enervee Solar guides in-market shoppers through the entire process from enquiry, through to best offers and final contract signature. As well as choosing appliances, consumers are also looking for trusted contractor services that are utility-approved. Enervee Contractor allows users to see approved and highly rated contractors in their area. Make it your IDEAL Marketplace. Each energy provider has different objectives. So each energy provider can configure Enervee's choice engines, applications and services into a tailored customer experience to meet those objectives. That configuration is the IDEAL Marketplace. Your IDEAL Marketplace. 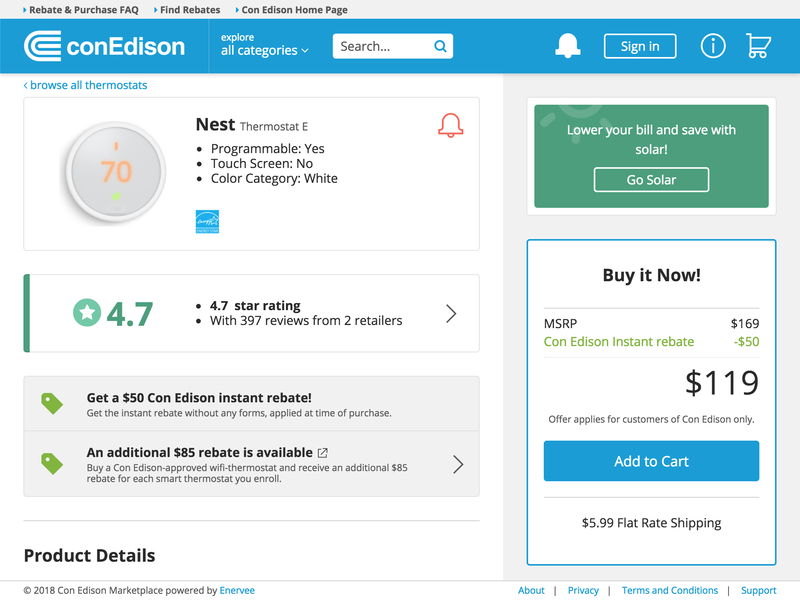 The Con Edison Marketplace - built on Enervee's IDEAL Customer Platform - makes it easy for our customers to compare and buy products that help them cut their energy usage and save money. We are committed to making it easy for our customers to get the benefits of energy efficiency, reducing emissions that contribute to climate change, and keeping the New York area clean and sustainable. Enervee's technology and expertise are helping us meet our goals. Enervee's IDEAL Customer Platform creates opportunities for utilities to build strong commercial arguments for engaging its customers in making better choices for their homes. Enervee's IDEAL Marketplace delivers rich opportunities for energy-focused advertisers to buy access to qualified in-market shoppers (CPM). For energy-conscious appliance brands, sponsored content across IDEAL Marketplace pages and other channels provides opportunities to inform consumers and drive interest. As users engage with the IDEAL Marketplace, all subsequent product sales secured via retailers generate affiliate marketing fees. As user traffic and engagement increases on the IDEAL Marketplace, retailers pay a cost per click (CPC) for referred in-market shoppers. Through applications such as Solar and Contractor, as well as via choice engines like Enervee Cars, third party vendors will pay fees for high quality sales leads from the IDEAL Marketplace (CPA). Turn-key digital marketing services, built on energy- and consumer-specific capabilities. Engage complements existing utility marketing campaigns to bring high quality traffic to the IDEAL platform to maximize marketing ROI. 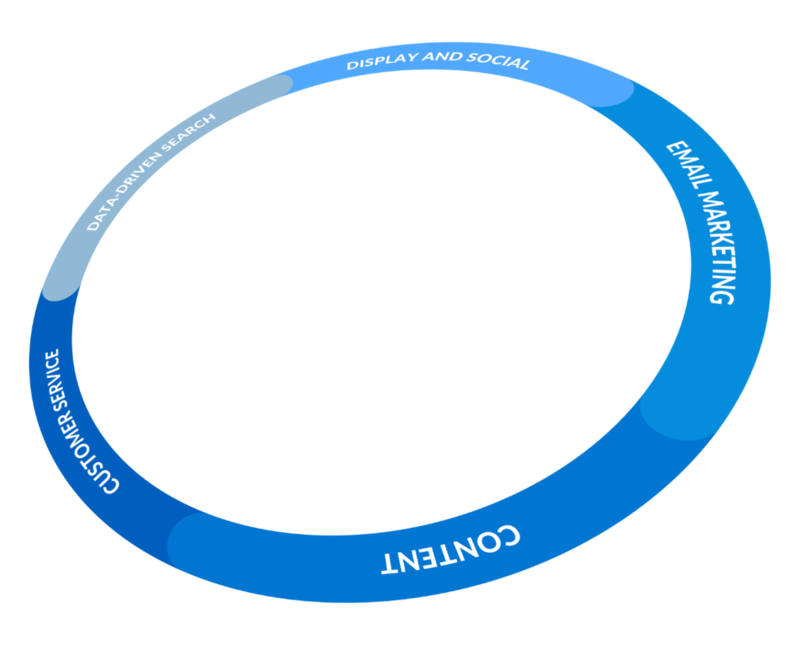 With a unique understanding of the energy-centric buying experience, Enervee Engage can deliver the advantage through managing all digital marketing processes: objective-setting and planning, execution, media buying, monitoring, optimization, analysis and reporting. Changing the way consumers choose where they already shop and research. 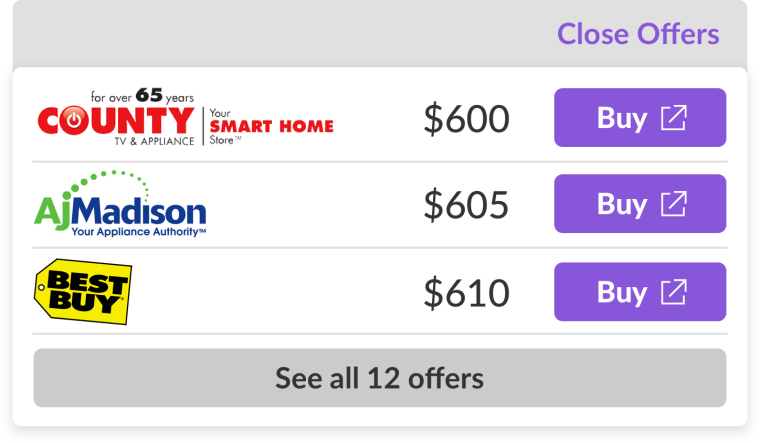 Enervee Charge is a simple widget installed on retailer, manufacturer and publisher sites, allowing consumers to see the Enervee Score of the product they're considering, compare with other similar products on efficiency, and check and apply for rebates. 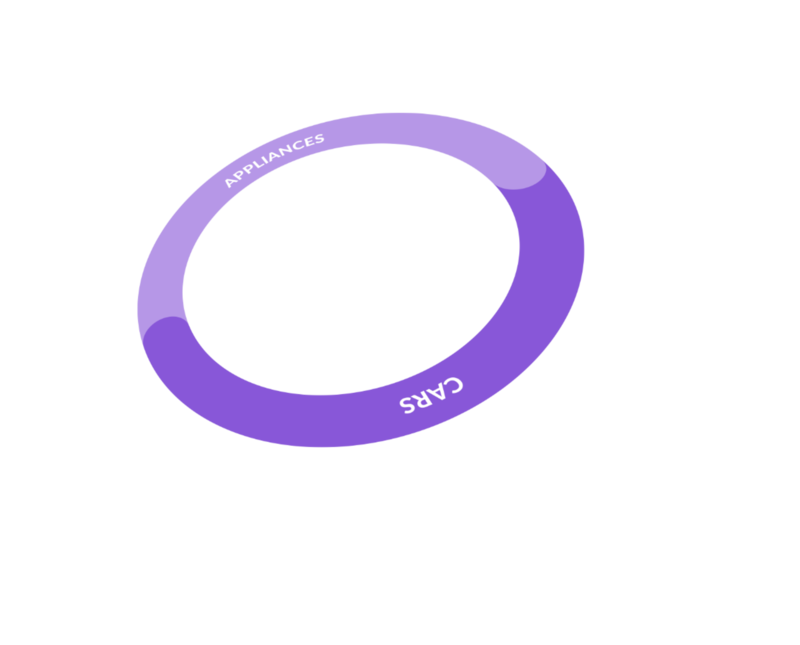 Enervee Charge is customizable by the market intermediary partner, driving customer engagement and cart value, and placing the utility at the center of a new efficient shopping ecosystem. Making the option to choose electric clear and compelling for every car shopper. Based on a combination of efficiency, HP and size, Enervee Score® for cars covers all gas, hybrid and electric vehicles in the market today. Any car model is compared with the best EV in same size and class, making cost and feature benefits clear and relevant. 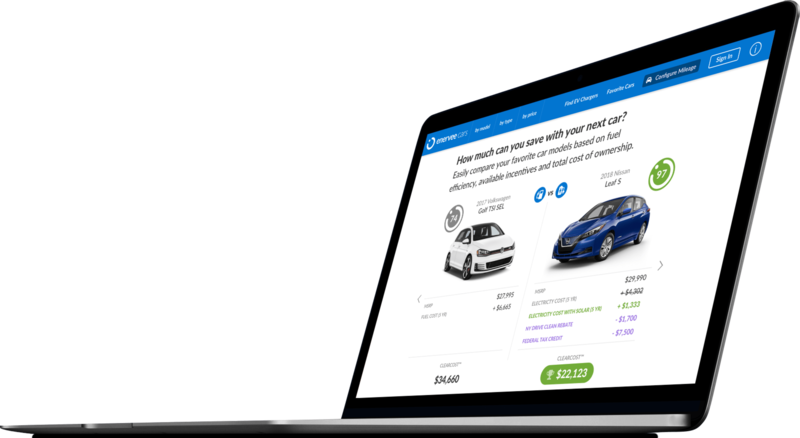 CLEARCOST® delivers a consumer-personalized ownership cost, based on miles driven, local gasoline and electric rates, charging behavior and available incentives. Branded and configured to utility rates and programs, customers share profiles across Cars and other Enervee choice engines (e.g. Appliances) for direct links to EV chargers and solar.